“I can remember the frustration of not being able to talk. I knew what I wanted to say, but I could not get the words out, so I would just scream,” one of Temple’s famous quotes. 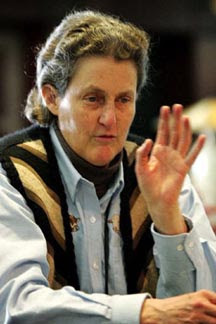 Dr. Temple Grandin, person with autism; professor of Animal Science; a livestock industry consultant and livestock handling designer; inventor of Hug Machine (designed to calm hypersensitive persons); author of numerous best selling books and passionate autism advocate. Temple was diagnosed with autism between the age of 3 or 4. She avoided being institutionalized and with the help of early intervention; a structured school environment (in the 1950’s); a wonderful science teacher and a supportive family - all these helped contributed to where she is today. After a long anticipation from Temple fans, HBO Films will finally release the biopic on February 6, 2009. Click here for more information. "If I could snap my fingers and become non-autistic I would not do so. 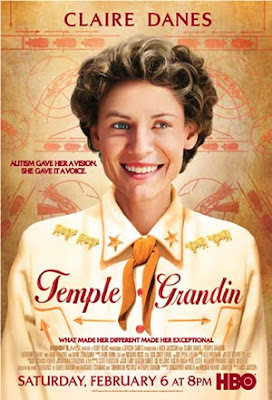 Autism is part of who I am," another famous quote from Temple Grandin. Temple has a lot to say about people with autism and early intervention. Click here to watch Temple during an interview of the movie premier. ASP continues to work hard to inform others about autism, and help empower families on how to help their children. To request for an Early Detection and Early Intervention of Autism Seminar in your area, please write us at autismphil@pldtdsl.net or call us at 9298447 and 9266941. Visit the ASP Library at Room 307 ML Bldg. #47 Kamias Rd. Quezon City or call us at 9298447 or 9266941 to read books by Temple Grandin.